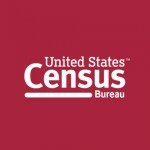 The U.S. Census Bureau is researching modern and cost-efficient methods for the population to exercise its civic obligation to be counted in the 2020 Census. Whether through the Internet, telephone, traditional paper questionnaires, or in-person visits, the Census Bureau is committed to making the mandatory once-a-decade headcount quick, easy, and safe for all to participate. The 2016 Census Test will allow the Census Bureau to study a variety of new methods and advanced technologies that are under consideration for the 2020 Census.